Want to go out for a night with the girls? Want a night cap with the hubby? Whatever you reason (do we really need a reason?! 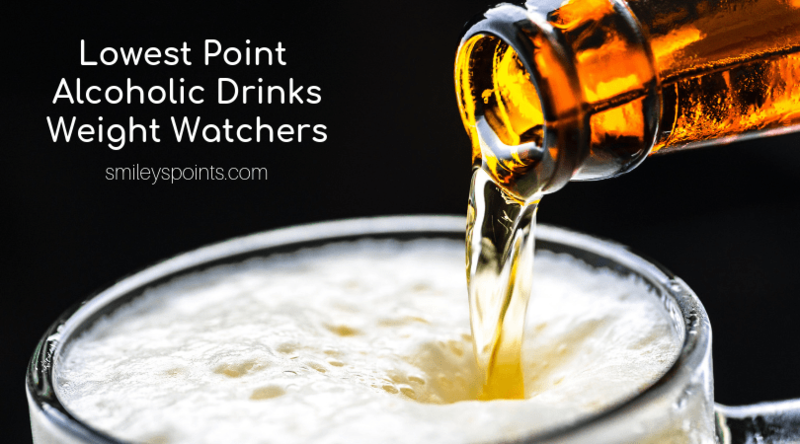 ), here are some low point alcoholic drinks that will keep you on track with your Weight Watchers points and still allow you to have a good time. Remember, you can alway use your Weeklies if need be! Gin, Vodka, Whiskey, etc are going to (generally speaking) be 3 Points for 1.5 ounces. What you mix into your drinks is what will add the points. Using Crystal Light or other zero calorie flavor options is best. 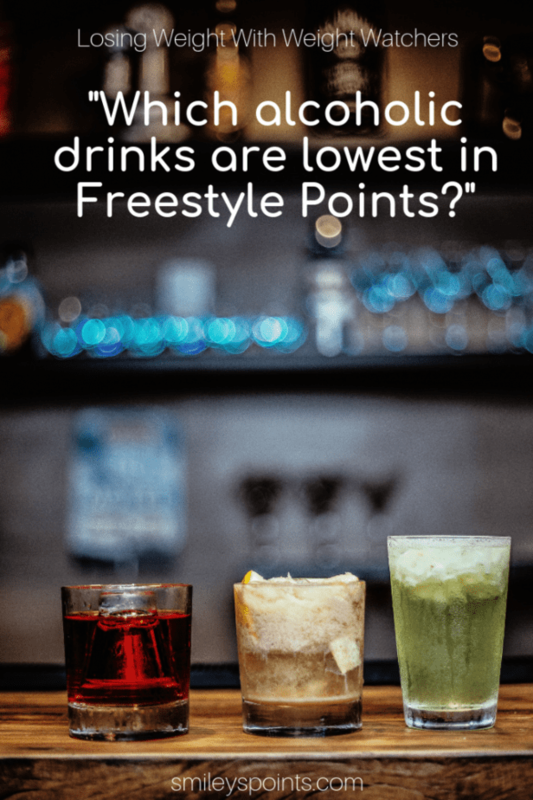 Most vodka is 4 Points, but SkinnyGirl Vodka is 1 point, and Deep Eddy’s vodka is 2 points. When this question was asked in the Weight Watchers group, many noted they preferred Eddy’s to SG. Taste both and choose for yourself… sometimes flavor is worth the extra point! Social Lite Vodka Coolers are 2 points and they have many flavor options. Light beers are 3 points while full flavor are going to run you 5 to 7 points. If you’re really craving the full flavor beer, drink a regular beer to start, then follow up with light beers to save points. Red wine is typically 4 points per 5 ounce glass. Not all wines are created equal, nor are their point counts equal, though! There is a 3 point wine that has under 85 calories. Manechewitz red wine is 2 points for 4 ounces. You don’t have to give up on Happy Hour just because you’re doing Weight Watchers, but you want to be mindful of not only what you’re adding to your drinks but what you’re eating with your drinks. Always track every bite and sip! Vodka info is a game changer! I prefer any of the non-alcoholic beers. The beer taste difference between them and water is better than the difference between regular beer and non-alcoholic beer. It does not make you dizzi either and you can drink and drive. A game changer. This is so helpful. Looking forward to be a part of the group.